The easiest way to cut calories and reduce hunger is by eating The Best Foods that Suppress the Appetite. These foods are healthy, keep you feeling fuller for longer and limit snacking during the day. Yes, there are many supplements available on the market today that can also help with this, but why not try natural ways first? 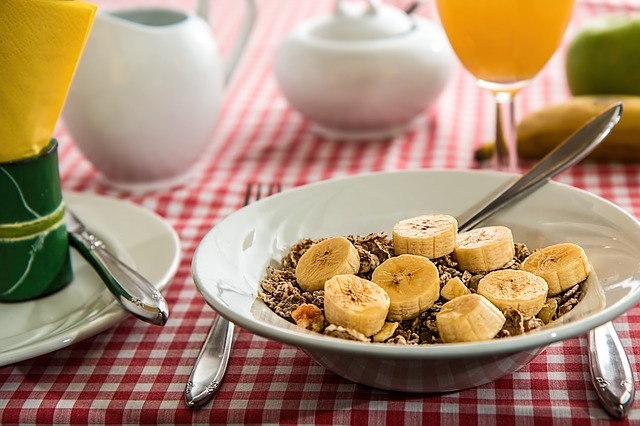 Eating high-fiber foods, healthy fats, whole grains, and certain fruits & vegetables can help with weight loss goals by keeping appetite at bay. There are also many drinks that can help suppress the appetite such as coffee, water, ginger root tea, and green tea. I will share more about those in a later post. Just know that there are many options for helping you stay satiated so that you eat less during the day. In this article I will describe the best foods that can help keep you feeling full for longer and eating less throughout the day. Including foods that are high in fiber can have many health benefits including weight loss and taking in less calories. Below, I’ve listed some of the many food choices that fit into this category. Sweet Potatoes are high in fiber, low in calories, and a great source of fiber. High-fiber foods fill you up faster and helps slow digestion, preventing over-eating. Apples are filled with soluble fiber and pectin, which help you feel full for longer. They are known to regulate glucose levels and boost metabolism. Apples are high in fiber, help suppress hunger, and are a delicious fruit to include in any diet. Kale is one of the healthiest weight loss fiber foods in the world and has more nutritious benefits than most other green vegetables. It’s high in fiber and widely known as a super food. Fiber foods fill your tummies up and helps to keep you sated for longer. 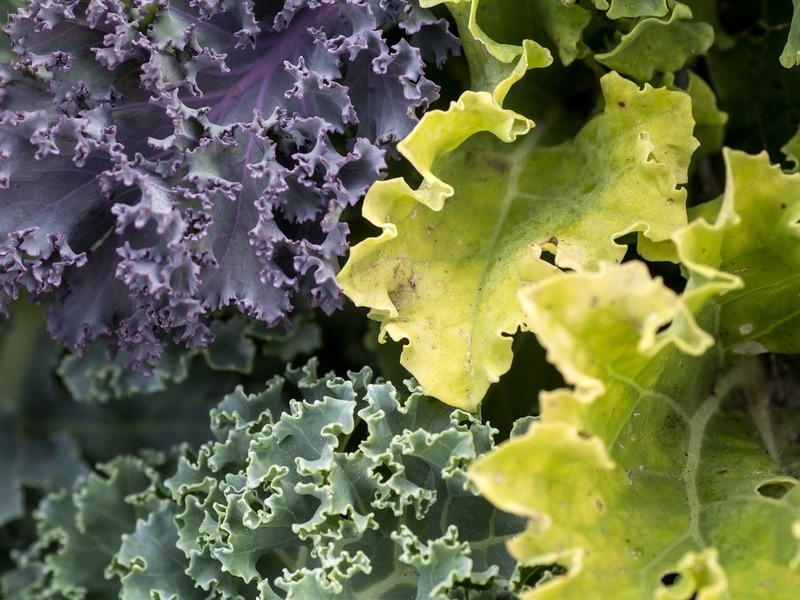 Each cup of raw kale contains 33 calories, 2/4 grams of dietary fiber. That’s 10% of the daily value based on a 2,000-calorie diet. This dietary fiber can help reduce hunger and aid in weight loss. Chickpeas also known as, garbanzo beans, are a great source of fiber and protein along with tons of other health benefits. In just one cup of cooked chickpeas there are 13 grams of fiber and 15 grams of protein! How’s that for a quick fiber fix? And they will provide a fuller feeling for longer! It’s no hidden secret that whole wheat is an excellent source of fiber. Whole wheat can help keep the snacking down between meals, reduce constipation, as well as provide many other nutritional vitamins and minerals such as B vitamins and magnesium. Chia seeds are a good source of omega-3 fatty acids, fiber, antioxidants, iron, and calcium. In just one serving of chia seeds there are 11.2 grams of fiber and 5.6 grams of protein! They are great added to cereal or in smoothies. Raspberries contain about 8 grams of fiber in one cup and their sweetness can help curb sugar cravings. They can also help decrease the risk of obesity, diabetes, heart disease, and promote a healthy complexion, increase in energy, and weight loss. Almonds are a great source of protein and can help decrease belly fat. They are also known to balance cholesterol levels and improve insulin sensitivity. In just one ounce of almonds there are 6 grams of satisfying protein and 14 grams of heart-healthy fat. They are super satisfying when eaten as a mid-day snack! Eating eggs for breakfast has been shown to help dieters feel full for longer. So get protein first thing in the morning by eating eggs instead of a bagel. People who eat more eggs tend to eat fewer calories through-out the day. Oatmeal is claimed to be a super food and one of the healthiest foods to eat. It’s high in protein, fiber, and iron, which can help suppress the appetite for longer. 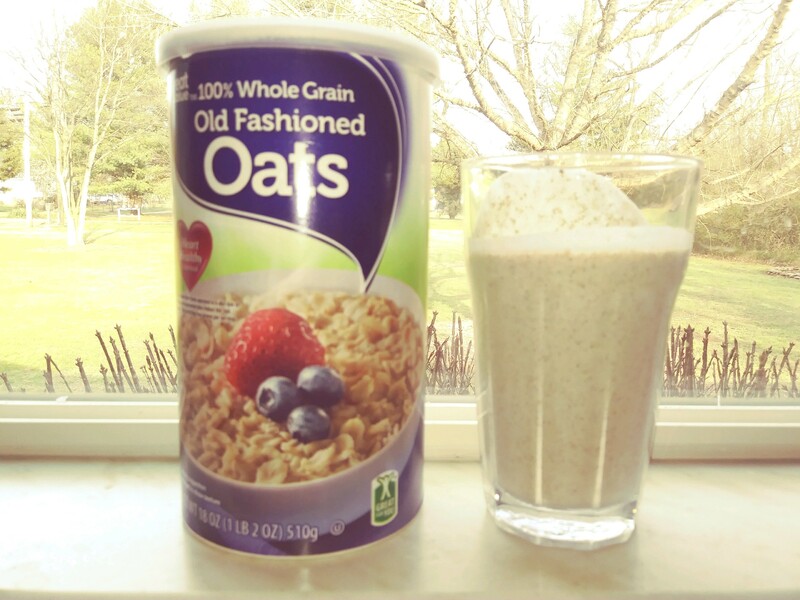 Oatmeal can also aid in weight-loss, boost the metabolism, and provide tons of energy throughout the day. Fatty fish such as salmon are rich in heart-healthy omega-3 fatty acids. They are also responsible for altering the body’s level of the hormone leptin. Leptin is the hormone that tells the body that it’s full, suppressing the appetite. 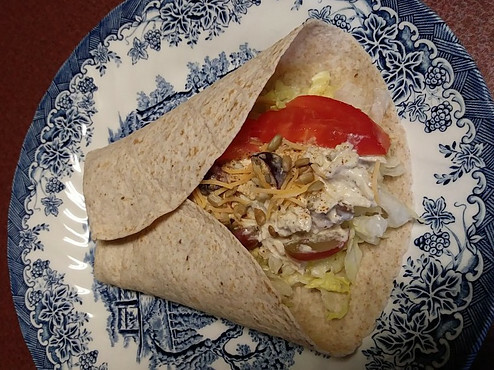 Tuna, sardines, or herring are great alternatives to salmon for different taste buds! Lean proteins like tofu are high-protein foods that are great for eating as a snack. Tofu can provide a prolonged sense of fullness. Tofu is high in genistein, which has been shown to suppress appetite and lower food intake. It makes a great addition for healthy stir-fry’s. Bananas are important to include in diet as a solid food source. They are rich in a mineral called potassium. Potassium is important for maintaining fluid levels in the body and regulating the movement of nutrients and waste products in and out of cells. Bananas are also an excellent source of fiber which helps make you feel full faster. Green leafy vegetables contain thylakoids which promote weight loss by controlling hunger hormones and decreasing insulin. Including solid food vegetables such as kale or spinach, will act as a natural appetite suppressant and provide many other nutritional values. Tomatoes are considered a solid food as well as a high-water food. They are known for suppressing the appetite and supporting weight loss. Tomatoes are a great source of protein, vitamins, minerals, and dietary fiber. Add tomatoes to a salad, cook, stew, or grill them, eat tomato soup, or drink tomato juice; they are GREAT for you! Carrots are a great solid vegetable containing vitamin C, calcium, and high in fiber, but low in calories. Just one cup of these, will provide a full feeling for a while and will add up to fewer calories during the day. Avocados make a good solid-food to include in your diet and are an excellent source of protein and omega-9 fatty acids. Omega-9 fatty acids are considered good fats and found in olive and canola oils. Avocados are rich in a fat known as oleic acid, which helps suppress the appetite. Whole wheat bread versus white bread? Let me be the one to tell you, whole grain anything is best! If looking for a rich source of fiber, minerals, and a low fat bread, whole wheat bread is an excellent choice. It will also help keep you full for longer. Air-popped popcorn can make an excellent snack and have nutritional benefits as long as bad toppings such as butter and salt are avoided. Without the toppings, one cup of this snack only has 92 calories, 2.9 grams of protein, 18.7 grams of carbs, and 3.6 grams of dietary fiber. Not only is brown rice very filling, when eaten in moderation it is a very nutritious gluten-free carbohydrate. It is loaded with vitamins and minerals along with fiber and protein. Also, switching from white rice to brown rice reduces the risk of diabetes. Barley is known to help slow digestion which may help with weight control. Eating whole grain barley will give greater satiety, and reduce calorie intake throughout the day. Barley is high in fiber, vitamins, minerals, and antioxidants. It is considered heart healthy and can help protect against diabetes. Navy beans are loaded with dietary fiber and are an excellent source of iron. They can help regulate metabolism and keep you feeling full for longer. Just one serving contains 19 grams of fiber and 15 grams of protein! Black beans offer many health benefits including weight loss. The fiber in black beans functions as a “bulking agent” in the digestive system. That being said, high fiber foods increase the sense of fullness after eating, thus reducing the appetite and lowering calorie intake. Moderate amounts of soybeans included as part of your diet may offer health benefits and reduce the feeling of being hungry. They are low in saturated fat and high in protein, vitamin C, and many other minerals. Cucumbers are low in calories and can detox the body, reduce bloating, ease constipation, soothe stomach irritation, lower cholesterol and blood glucose, and it has zero fat! They consist of 95% water which helps make you full for longer. Spinach is an excellent source vitamin C, Iron, Calcium, and many other vitamins and minerals. It is also high in insoluble fiber, which may help suppress the appetite and improve the digestive system. Spinach consist of 91% water. Watermelon is 90% water, low calorie, and zero fat! This juicy fruit is so delicious and actually very good for those who are trying to lose weight. 2 cups of watermelon will yield 1 gram of fiber, which slows digestion and keeps you feeling full longer. So go grab a watermelon! They are almost in season again! Cantaloupe makes a great snack for dieters. Cantaloupe contains lots of water; 1 cup of cubed cantaloupe contains just 54 calories. This fruit’s low calorie content makes it an ideal choice during weight loss. When added with other protein-rich foods, cantaloupe can help boost satiety for overall calorie control. Zucchini consist of about 95% water, only has 17 calories per 3.5 ounce serving. With the low calories we can eat more and become satisfied. It is also known to increase the metabolism, giving more energy for burning excess fat. Zucchini is a good source for insoluble fiber which helps improve digestion and intestinal health. As mentioned earlier, tomatoes are considered as a solid food as well as a high-water food, consisting of 95% water. Due from their water and fiber content they add more bulk in your diet, therefore suppressing the appetite and supporting weight loss. Tomatoes are also a great source of protein, vitamins, and minerals. Cauliflower contains about 95% water, a good source of vitamin K, improves digestion and detoxifying the body. All of these benefits helps to support healthy weight loss and boosting the immune system. I personally love to eat it raw or in soups or steamed. Avocados are considered to be a super food and heart-healthy. They are nutrient-dense, consisting of healthy fats, fiber, vitamin K, folate, vitamin C, potassium, vitamin B6, and more. Avocados help regulate hormones that are at risk for diabetes, obesity and cardiovascular diseases. The healthy fats in avocados will also help achieve a full felling faster and for longer. Coconut oil serves many beneficial roles, but internal benefits may actually outweigh the external. It is known to reduce hunger, strengthen the immune system, lower bad cholesterol, and improve hormone health along with thyroid function. Both peanut butter and almond butter are a great source of vegetable protein and can help keep hunger satisfied for longer. Almond butter is more expensive and may have more nutritional value, as well as contain more protein than peanut butter, but both are a great addition to diet choices in their own way. Nuts are high in fat, but when eaten in moderation, they can provide many benefits. Almonds, alone have been shown to promote weight loss. Nuts in general are known to help with losing weight rather than gaining weight even though they are high in fat and calories. They make a great snack and can limit calorie intake during the day. Love Chocolate? Try Dark Chocolate! Next time you get that sweet tooth and go to grab some chocolate, try some dark chocolate that consist of at least 70 percent cocoa. Dark chocolate is known to lower cravings because of its bitter taste. The bitter taste sends signals from the brain to the stomach, decreasing appetite. Dark Chocolate can also have an effect on slowing digestion which will help you feel fuller longer. I personally love eating one or two squares of dark chocolate with my coffee when I get up. OMG! If you haven’t tried this yet, you don’t know what you are missing! Coffee helps bring out the sweetness in dark chocolate, helping with the bitterness. Turmeric is great for boosting the metabolism and controlling the appetite. The benefits significantly increase when black pepper is included with it. Turmeric Curcumin Plus supplement is a great way to get all the benefits needed; increase energy levels, control appetite, assist with sleep, relieve joint pain and arthritis… might be something to check out. Cinnamon is a very healthy spice to add to smoothies, oatmeal, sweet potato, or butternut squash. This brilliant spice is loaded with antioxidants such as polyphenol antioxidants, that help protect the body from oxidative damage and is known for suppressing the appetite. Ginger root has some amazing benefits including its ability to improve digestion and making you less hungry. Ginger root is great to use in ginger tea, ginger and lemon detox, in smoothies, or in your food. It works great as a stimulant that energizes the body, helping with digestion, and satisfying hunger. Spices such as red pepper, added to food can slow appetite. People who are not used to using cayenne red pepper have been shown to have a more positive outcome from this benefit. Cayenne red pepper may also help boost metabolism and cause you to burn more calories, while curbing the appetite. Things to remember from this article for weight loss management, having some of these “40 Best foods that suppress the appetite” in your kitchen will help a great deal. Including more high-fiber foods and lean proteins in the foods you eat, will reduce the need for snacking between meals and decrease your calorie intake throughout the day. I hope you enjoyed this article about these 40 impressive foods that suppress the appetite. I’m sure you knew about some of them, but wasn’t aware of how they could help with weight management. I know I’ve learned a lot from doing my own research about this subject. Thanks for visiting my site! I would love to hear your thoughts in the comment box below. If you have anything to include or just want to give general feedback, I’d be happy to respond promptly. I hope you have a wonderful day! I wish you the best of luck on your weight loss journey. Please continue to check in from time-to-time for more of my articles. 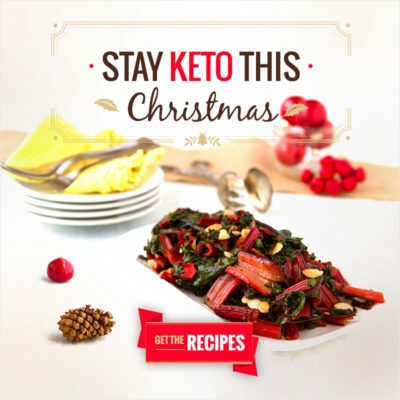 PreviousKETO DIET Supplements that Really Work! Hi Devara, You have done an excellent job of putting together a complete list of foods to help us stay healthy. I learned some things I didn’t know and I’m anxious to try some of your suggestions. (I’m looking forward to trying Dark Chocolate with Coffee!) Probably the thing that is most helpful to me is your listing everything at the end so I can copy a completely healthy and appetite suppressing grocery shopping list. I’m looking forward to hearing about your successes in your fitness program! So glad you found my article helpful. I really do love dark chocolate with my morning coffee. For some reason I always wake up with a sweet tooth and this trick really helps me stay on track with my diet. Otherwise, I would still be dipping cookies in my coffee instead. I’m glad you liked the way I summed things up at the end. There are so many foods discussed in this article, that I thought it would be helpful to list them all in the end. I love your idea of a generating a grocery list from this list. I think I will do this myself. I may even look into creating a PDF file and having it on here to make it even easier for my readers to print it off. Other than that, I’ll continue to eat lots of green leafy vegetables, and nuts and seeds. I wish you the best of health during your weight management journey. Eating plenty of green leafy vegetables, nuts and Chia seeds is a great plan. Just don’t forget to include enough protein in your diet so that you can stay energized throughout the day as well. Just ate my lunch which consisted of sweet potatoes and earlier I had popcorn (with olive oil and sea salt). Bananas are a daily staple, along with whole grains, which I consume throughout the day. I’m glad to see I’m on the right track here and have been incorporating many of these foods. Wow! I think you might just be eating healthier than me. It sounds like you know what it’s all about and how to eat healthy to manage your weight and overall well-being. I’ll have to try eating popcorn the way you eat it. I don’t like plain popcorn at all and just assume not eating it if it has no flavor. I actually have some olive oil and sea salt. Thanks for this suggestion. I’m glad that I mentioned many of the foods that you already include in your everyday diet. Lets me know I’m on the right track, covering foods that people actually enjoy. Now they will know the benefits they are getting from eating them. I appreciate your feedback and look forward to hearing from you again soon. There are so many good recommendations ! I am always looking for foods that help me stay full longer while maintaining my life style. I wish to loose a little weight before end of May before I officially meet the boyfriends family in Texas. I feel excited about revamping my goals and creating my next grocery store list! Thanks for your feedback. I’m glad you found my article helpful. I hope you are able to reach your weight loss goals in time for the visit with your boyfriends family. Please let me know if I can assist in any way. I’ll respond promptly. All of these foods are great! I do have a question. My mum had her gall bladder out a while ago and now she has to be very careful with the fats she consumes. She’s had kale and it makes her ill and is the same with too much potato. It’s very strange because those foods aren’t bad for you. From this list, what do you think is the best option for her? It’s a hard one I know! I’d be glad to help the best way I can. It is recommended to stick to a low-fat diet after gallbladder removal. She would want to stay away from foods containing more than 3 grams of fat per serving. The foods I have listed under “Include More Solid Foods in Your Diet” section and foods consisting of “Good Fats” such as nuts and avocados. I hope this helps some. I’m not a professional in nutrition. This is just information I’ve found during my research. This could help her narrow it down to the types of foods her body rejects. She could also share this information with her doctor or nutritionist so that maybe they could help come up with a diet plan that works for her. Please let me know if I can help in any other ways. Keeping a track of the foods that don’t agree with her in a logbook is a great idea! She eats a lot of white bread, is that an issue do you think? Some great advice here for me to refer back to to help my mum, thank you! I’ve spent some time researching your question about white bread and never really found an answer for you. One way to find out, would be for her to stop eating white bread for a few days to see if it makes a difference in how she feels. Otherwise, I would advise her to discuss this with her doctor. I wish I could help more, but that is a difficult question for me to answer. I think that largely, it depends on the person. Issues she has with certain foods can vary from what someone else experiences. I really do believe keeping a food journal of foods she found discomfort with and foods that seem to agree with her, can help her a great deal in determining what she can and can’t tolerate. I look forward to hearing back from you again soon. Thank you so much for this, Devara. I appreciate info such as your broken down for ‘easy reading’. I like how you laid it out. I also like chickpea which makes excellent hummus and bananas. However, I have a question. Since you listed the spices, do the vinegar and cinnamon really work? So glad to hear from you again. Cinnamon is known to not only work as an appetite suppressant, but also as a stabilizer for blood sugar levels. In that case, people who have unstable blood sugar levels tend to have enormous appetites most of the time. From reading what other people are saying, “yes” cinnamon really does suppress the appetite as well as provide a lot of health benefits. In order to get those benefits, it is important that it is real cinnamon and not extracts. Apple cider vinegar can help you lose weight due from the acetic acid it contains. The acetic acid helps to suppress the appetite, increase your metabolism and reduce water retention! I drink apple cider vinegar with “Mother” in the mornings as soon as I wake-up. I’ve noticed that it really does provide me with energy and seems so help curve my appetite. It also helps with my joint pain from arthritis. There’s a great supplement now for ACV, in capsule form. Apple Cider Vinegar (ACV) Pure; without the harsh taste! I hope this answers your questions. Please let me know if I can help in any other way. Thanks for visiting! I look forward to hearing from you again soon.